The most powerful sense memories are inspired by scent. Be transported back to the most relaxing, carefree time you can imagine. And smell great at the same time! There is nothing like nostalgia. And the only thing better is something nostalgic and current. Nothing fits that description better than Mr. Bubble, which after more than 50 years is still one of the top-selling bubble baths in the United States. Demeter’s Mr. 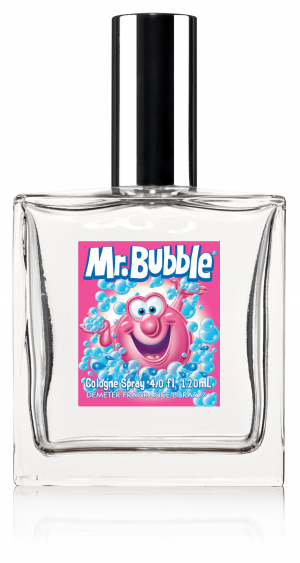 Bubble is both nostalgic and current: a sharp fruity concoction with notes of coconut, banana and peach. A floral center of jasmine and rose along with a balsamic vanilla and powdery raspberry base, round out this memory-making fragrance. Mr. Bubble was born in 1961 when Harold Schafer and the Gold Seal Company found a way to make bubble bath affordable, moving it from department stores to drug stores. 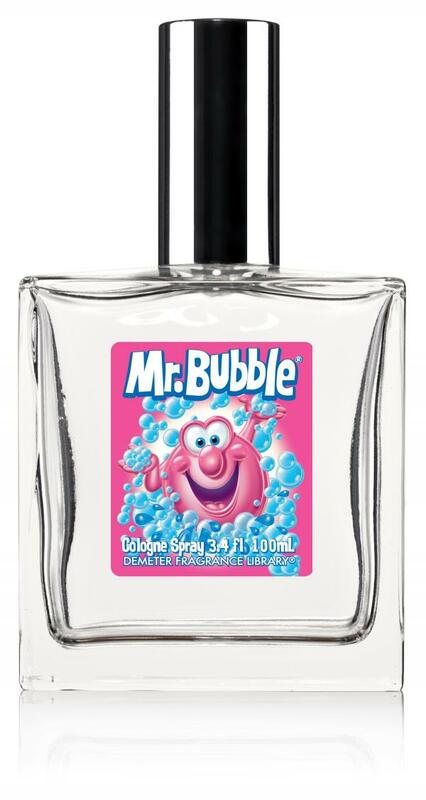 Because Demeter is all about making great smells available affordable for every day use, a Mr. 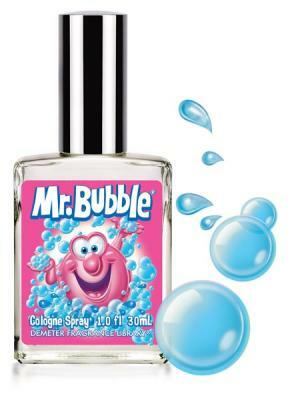 Bubble fragrance was a natural choice. Enjoy this fun and memorable fragrance, anytime and anywhere.